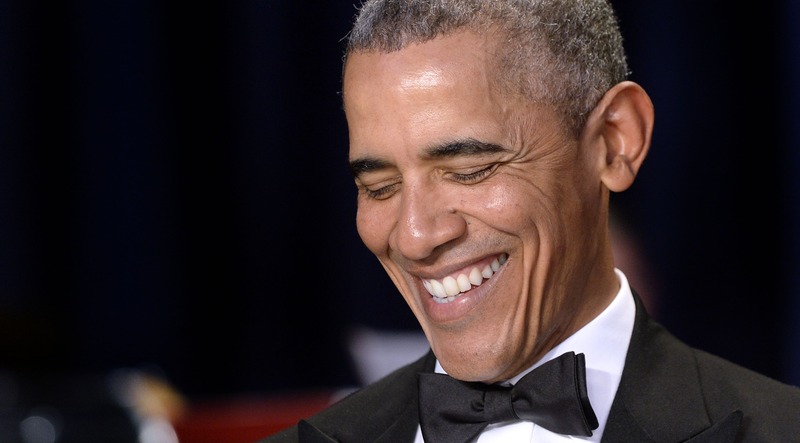 During the White House Correspondents' Dinner on Saturday night, the media said farewell to outgoing President Barack Obama in classic TV style: With an eight-minute clip show of his finest moments. Among those clips was one of Obama calling Kanye West a "jackass." But, wait, did that really happen? Yes, it did, and it was glorious. The clip was from a 2009 interview, which occurred after the infamous Kanye and Taylor Swift MTV Video Music Awards moment. To refresh your memory, West stormed the stage while Swift was accepting her award and he told her, "I'ma let you finish, but Beyoncé had the best video of all time." And, for that, I'm forever grateful.